Favorite Sleeper Disc - Old Favorite? OK, you can post just one record. No lists. Do you have a favorite record that you didn’t expect?.. something obscure, not a Rolling Stones etc. record. No not something to profess your coolness… that you should like… but just something that turned out to be very special… with no hype. I think this is one of my … I dunno… top 50? Up there. In the style of Arron Copeland… if I had to categorize it. (Confession: I skip the first tune). The mardi gras and symphonic pieces are what get me. Really nice write up at All Music… and their pick for this artist. I have this CD. You are right; in that the album kind of grew on me over time. Most of the tracks are really great, and its a high-quality recording. Years ago, I picked up this disc from the $1 bin at a record store, one that has long since closed. I stumble across it from time to time and still enjoy it, more than a dollar should. here’s a little madness… re: Harvest Home… Tidal uses that album cover for its avatar for Jay Ungar, yet that album appears to NOT be available. Grrrrr. It’s on spotify at least… Ashoken Farewell was one tune that used to get played like crazy at the bluegrass fests I go to, but nobody really plays it much anymore. Such a nice melody tho. Poi dog Pondering is a relatively big deal here in Chicagoland. A WXRT favorite. This is a fun record I keep coming back to. Bought in in late '69 or early '70, has been on 5 different turntables. Still mint. yeah, i picked this up not long after it was released (in a rural Minnesota pawn shop in the early 90s maybe), and I don’t think i’d ever heard of them. Picked this one up for a buck many moons ago… Delta Moon by Hunter Moore… I still love it. Picked this up years ago and keep coming back to it. 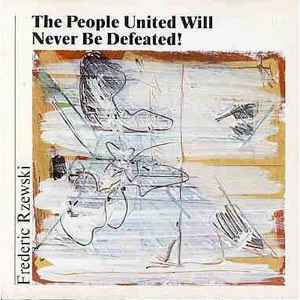 I saw Rzewski perform at Ravinia in the late 80’s or early 90’s. Some years ago, we were hired to do a gig at the Civic Center, (5000+ seat music auditorium) and we had the run of the place that day before the gig started. I had brought my JBL studio monitors as stage fill speakers, and during the afternoon I was able to set them up on stage, face them towards the audience, and play them at performance levels while listening 2~3 full wave-lengths (60’~90’) from them. This album was one I used to use between sets. (the actual CD has much better dynamics than this provided track from the album by KT “Love In A Small Town”) At 0dB it was amazing at their ability to create a stellar performance, and all who heard simply loved their quality. It’s why I still use them for my primary listening choice. It really is very hard to replicate and beat the dynamics of a good 2 way, compression driver HF combination. Long John Baldry, “Everything Stops for Tea” - the second album produced for him by Rod Stewart and Elton John. LJB was a massive influence on my British Invasion Rock Heroes. My 6-years older brother got this at the time, so its in my musical DNA. Cover art by Ron Wood. I love Ellington, and in my first years of exploration I liked this album but didn’t realize it’s special allure. But over the years it has risen and risen in my estimation. Beautiful ballads, carefully chosen. Wonderful arrangements, including excellent piano introductions, some great playing from Duke, who doesn’t often get his due as a pianist. Only one vocal, but it’s a doozy. Delicious vibrant sound in either mono or stereo mixes (and there’s unique bits to each mix and release). Just a treasure. From my days in the Air Force serving in Northern California. Great place and time to be 18. This was a big record in my circle of short haired hippie wannabes. Great pick! I can’t find this thing for sale. Amazon has the CD used for $60 !! This one - among many others - works for me. Great record. That’s how I learned about Doc Watson. BTW…the HD version is a worthwhile improvement if you don’t know already. Wow! I can’t believe I forgot about this. I loved it then. I’ll see if I can find a copy.